For immediate free and friendly help please call now! Call 702-462-9200 right now to get immediate help with your bail bond needs in North Las Vegas. My staff here at eBAIL is committed to providing you with fast, professional and confidential service by phone, online or in person at our office. We are centrally located just west of the 95 Freeway at 3100 E. Charleston Suite 108, right at the corner of Mojave Road. You cannot miss our beautiful corner office nested between lush flowers and trees and right down the street from the North Las Vegas jail. eBAIL is fully licensed by the NV Department of Insurance and accredited by the Better Business Bureau to post bail bonds at the North Las Vegas jail and courts. This is the most expensive option to get someone out of jail. All you have to do is get cash, cashiers check or a credit card and go to the North Las Vegas jail to pay for the full bail bond. Very few people choose this option since the full bail amounts are usually in the thousands and even in the tens-of-thousands of dollars. This money will be either refunded or partially refunded after the defendant has satisfactorily completed all his court dates. You will not get the money refunded if the defendant does not show up to his court dates. In addition, a warrant for arrest will be issued for the defendant that will never expire until an arrest is made or a new court date is scheduled. This is the cheapest and fastest option to get someone out of North Las Vegas jail right now. 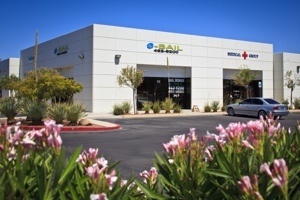 All you have to do is to hire a reputable, accredited North Las Vegas Bail Bonds Company such as eBAIL. The 15% fee you have to pay is set by NV Law NRS 697.300 and no bail bond company can charge you more or less. This is much cheaper than the above option of paying the full bail at the jail. The 15% is non-refundable and considered the risk premium since the bond company will issue a bail bond to the court or jail for the full amount of the bail. That is like writing a check for the full bail bond amount to the jail. The cosigner will guarantee to the bond company that the defendant will go to the court dates. If the defendant fails to show up for the court dates a warrant for arrest will be issued and the cosigner is now liable for the full bail amount. This means that the cosigner has one of three options to fix this situation: Persuade the defendant to schedule a new court date or hire an attorney, surrender the defendant so that an arrest can be made or pay the full amount of the north las vegas bail bonds. This option takes the longest time to get your friend or loved one out of the North Las Vegas jail. You have to hire a reputable criminal defense attorney who will appear in court in a few days to argue for the release of the defendant. This process can take from a few days up to a week and is usually highly effective when the bail bond amounts are very large and the attorney can get those amounts lowered. 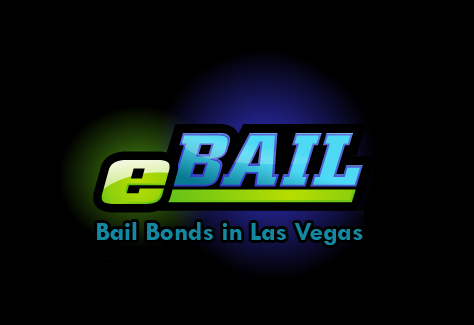 Why hire eBAIL for your North Las Vegas Bail Bonds? 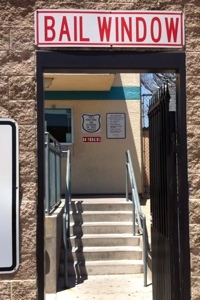 eBAIL is centrally located just one block away from the jail where all the North Las Vegas inmates are held at 3100 E. Charleston Suite 108, right on the corner of Mojave Street. We are easily accessible from any area of the city, from I-15 and Charleston we are just about 7 minutes going east and from the 95 Freeway and Charleston we are just 2 minutes going west. Our beautiful office is in a lush park-like setting with direct front door parking that is bright and well lit at night to make you feel comfortable and secure. We at eBAIL take great pride in ourselves in being a highly professional bail bond company with the friendliest staff in town. Our staff is very compassionate in wanting to help you in your time of need. You will be happy in choosing eBAIL for your bail needs, I guarantee it! eBAIL is the only North Las Vegas bail bond company that is also accredited by the Better Business Bureau with an A rating. When doing business with anybody you should always look for the BBB accreditation. This way you can always be assured that you are doing business with a reputable company. eBAIL makes it easy to bail your loved ones or friends out of jail either online, by phone 702-462-9200 or in person at our office at 3100 E. Charleston Suite 108. With all these options you will be glad that you choose eBAIL as your bail bonds company in North Las Vegas.